LIB Archives - Build the Brand. Protect the Brand. Success Can Be Beautiful, Too. What do you get when you pair R&R Partners with a festival that represents the essence of what makes this life extraordinary? You get measurable success. 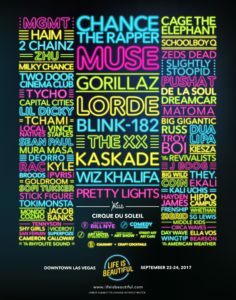 Through a recent partnership with the Life Is Beautiful festival, R&R’s Las Vegas team was able to flex its marketing muscles and show the world that an integrated communications strategy grounded in research, insights and tons of creative flair isn’t just for big companies—when mixed properly, this concoction works exquisitely well for homegrown festivals like our very own Life Is Beautiful. So what exactly is Life Is Beautiful? 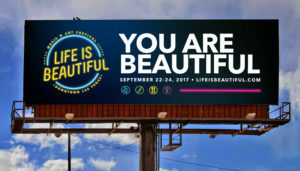 Representing much more than just another music festival, Life Is Beautiful is a movement of positivity and good energy, reflected through spectacular music, inspiring art, tantalizing cuisine, and captivating intellectual conversation. These four pillars of the festival work together to create an exuberant experience that takes place in an environment unlike any other: Downtown Las Vegas. 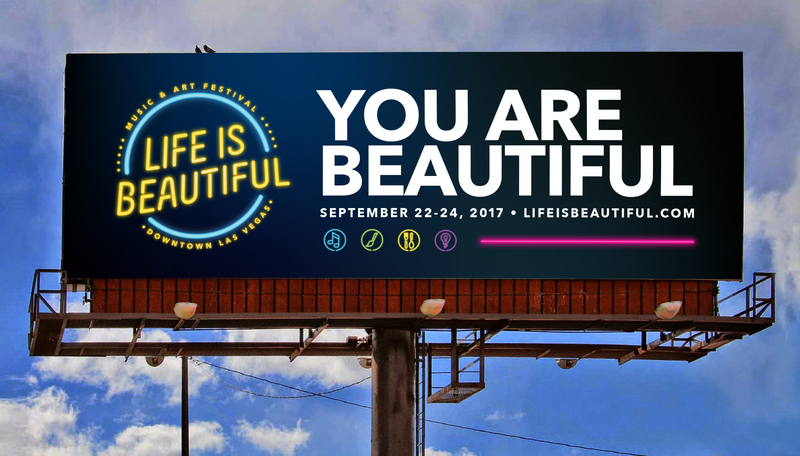 You can also check out the Life Is Beautiful website to learn more (which we designed, coded and executed). While being highly focused and candid, the R&R team worked closely with the Life Is Beautiful marketing team to create, execute and measure an integrated campaign that included creative executions, brand refinement, web development, social media, public relations, CRM development and execution, partnership leveraging, media planning and buying, market research and strategic guidance, just to name a few. 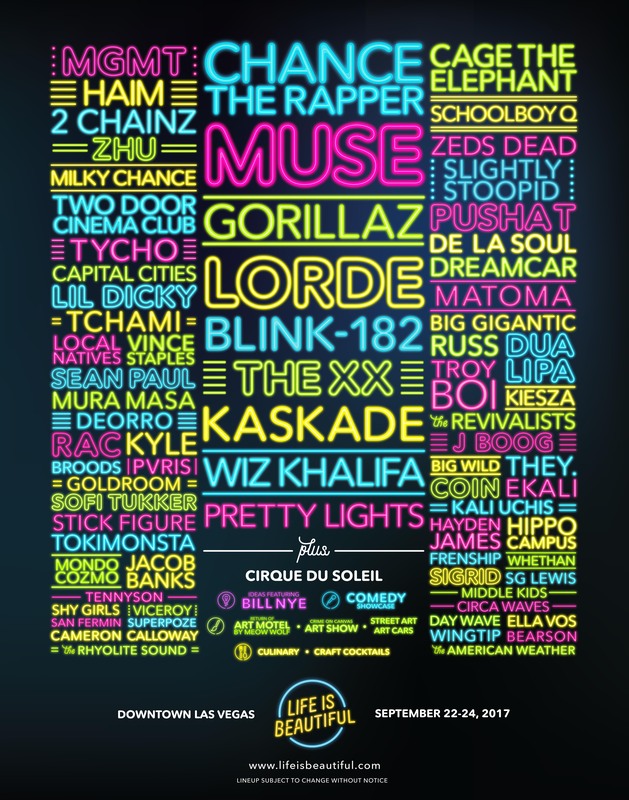 This close partnership between client and agency resulted in a stellar outcome: Not only did we exceed our client’s expectations, we helped achieve its loftiest goal—the first sellout in the festival’s history, with 35,000 tickets sold in just seven days. Go team! Agility proved to be important—and perhaps it’s best illustrated by the R&R team’s seamless execution of a Facebook Live event to promote ticket sales, a first for the music festival industry. This event proved to be a huge success and complemented other elements of the integrated campaign, such as a brand-new CRM system that was implemented to handle a variety of lifecycle communications, keeping interested prospects engaged and informed. While all of these components were meticulously assembled into a truly integrated campaign, perhaps the greatest achievement of our partnership with Life Is Beautiful is epitomized by our close collaboration and teamwork among a variety of diverse players. Things like “exceed ticket sales” and “sold out” sound great on paper, but these types of accomplishments can only happen when everyone involved truly believes in the work and has the tenacity to come together as one to make it happen.